When an icy breeze sweeps the golden leaves across campus, you know it’s time to pull on some warmer clothes and cuddle up in a jumper for your lectures. But do you go out and buy new clothes for the season, or do you somehow find a way to make what you wore in the sun work in the cold and the rain? Here’s a little advice on how to make your summer favourites become your autumn favourites too. I do think that simply layering summery pieces over or under autumn ones instantly works, and it is perhaps the best way to keep warm. One example would be to layer a long sleeve top under a denim mini dress and add some tights and boots, just like that it’s now perfect for the colder climate! Applying this simple rule to your wardrobe will update your summer pieces and make them more appropriate for the season. My first stop for summer dressing is florals. You simply cannot go wrong with a floral item, whether it be a dress, a shirt, or trousers. They are also too good to put to the back of your wardrobe for half a year. So, why not keep them at the front and mix them up with other pieces. It’s a great way to save money and create endless all-year-round looks. Opt for muted colours or smaller prints to keep with the autumn feel. I have a bit of a thing for smock dresses… They are just as perfect in summer with a denim jacket, as they are in autumn with a jumper. The latter paired with tights and some chunky boots is a cutesy autumn look that you can actually brave the wind in. Similar to a smock dress, a pinafore works perfectly in the exact same way – jumper underneath and go. Embracing denim in all its kinds is what I love to do in autumn. Blue denim, black denim, and even coloured denim work for autumn. 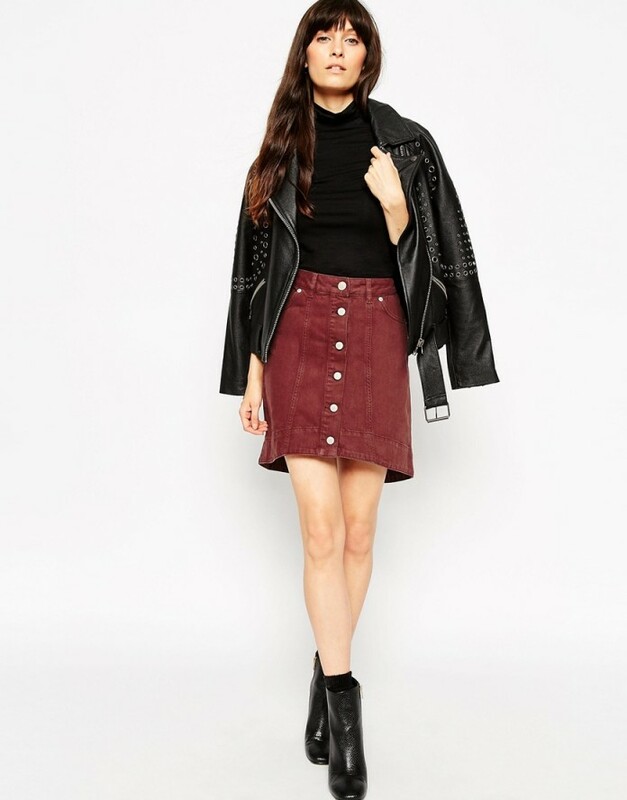 Recently, I purchased an ASOS denim skirt in a rich, earthy colour, named “Bitter Chocolate”. It compliments many of my summer blouses but makes them look more suitable to wear now. Investing in a denim piece like this is a great way to update your wardrobe. And, if you genuinely love the colour and cut of the denim, you’ll feel comfortable to wear it all year round. I cannot lie; I love autumn for its versatility. Being able to wear so many different prints and mixing textures while layering is the best bit. But the most important thing is to keep your summer clothes blooming, even if the leaves are falling. As a friend once advised me, don’t let the cold weather bring out your dark clothes.